It’s no secret that Texans like their trucks. In fact, Texans like their trucks so much that there is an entire awards ceremony dedicated to trucks and SUVs that are the favorites of drivers from the Lone Star State. 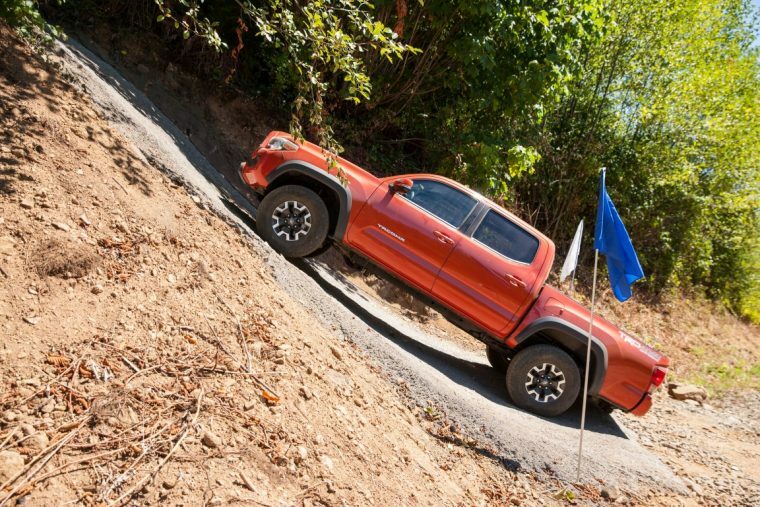 Each year, the Texas Auto Writers Association (TAWA) names one lucky vehicle the Mid-Size Pickup Truck of Texas, and this year’s winner was none other than the redesigned 2016 Toyota Tacoma. In order to determine the winner, TAWA journalists drive each contestant both on- and off-road over two days of tests at Knibbe Ranch in Spring Branch, Texas. The winners are announced at the Texas Truck Rodeo event. In all, 17 vehicles—a mixture of trucks, SUVs, and crossovers—are named and presented with the prestigious title. This year, the 17 winners were whittled down from a massive 88 contestants, driven by 69 journalists. The Tacoma was redesigned for 2016 and offers an all-new 278-hp V6 engine—an increase of 42 hp over the 2015 model. Additionally, the Tacoma comes with a new grille, taller hood, a locking tailgate, and even a GoPro camera mount for more adventurous truck drivers. The Tacoma is on sale now at dealerships across the country.